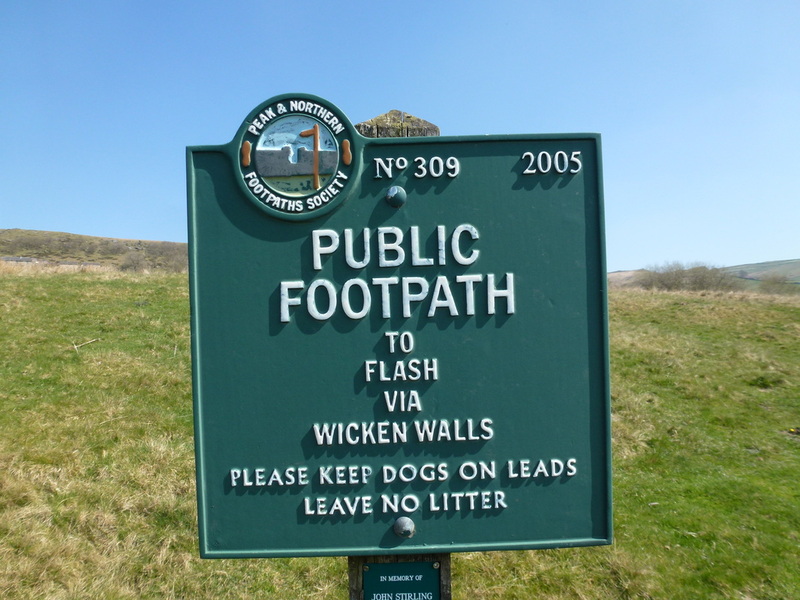 Good paths and tracks throughout. 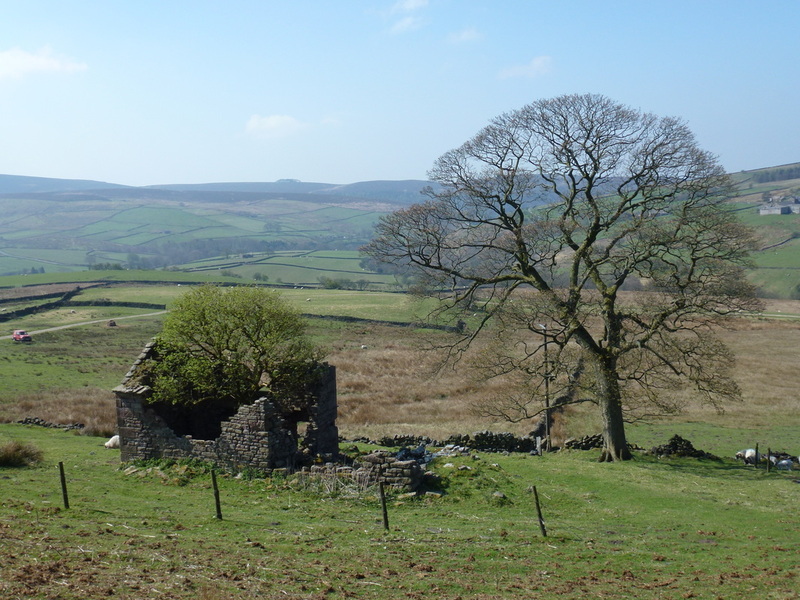 There is some road walking just after Wicken Walls to just before The Roaches but this is on a very quiet lane. 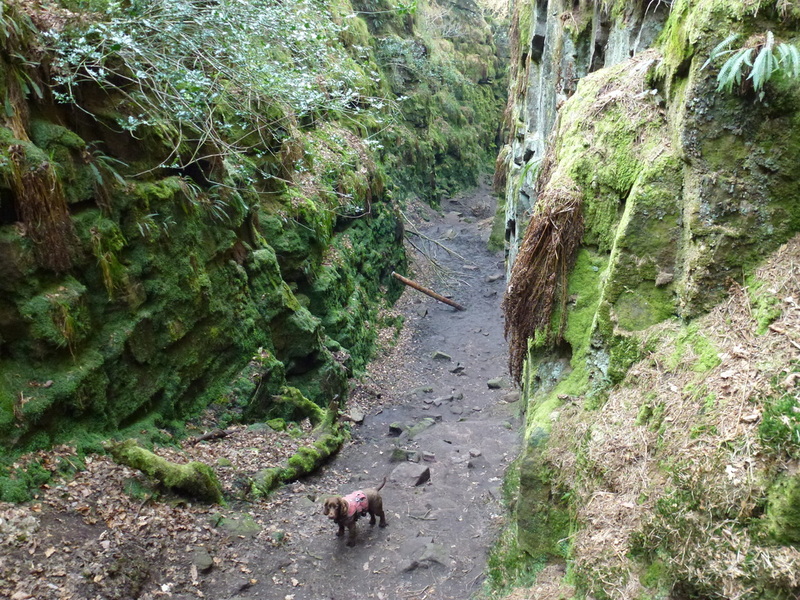 Care needs to be taken on the steep descent into Lud's Church. The walk today was one we had wanted to do for a long time. 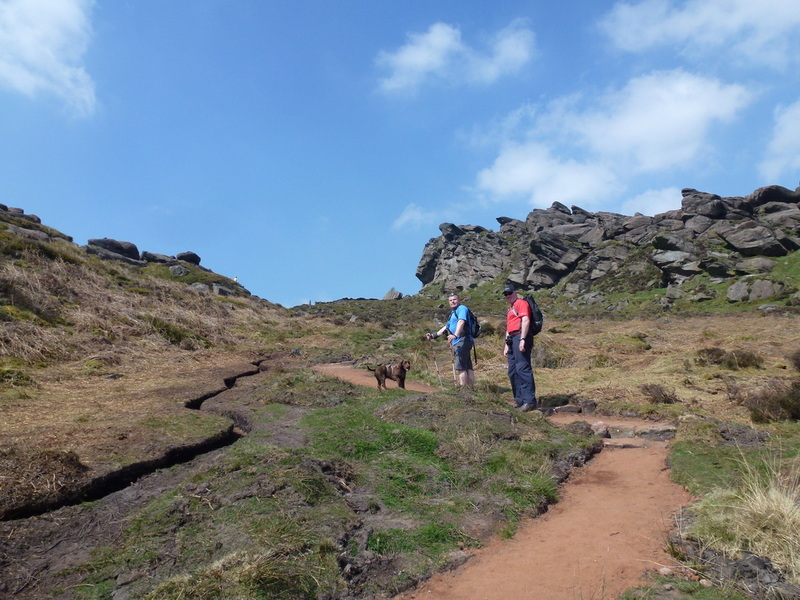 With the promise of good weather we drove the 25 or so miles from Baslow over to Gradbach to do a fairly long walk which would take in Three Shire Heads, Hen Cloud, The Roaches and Lud's Church. 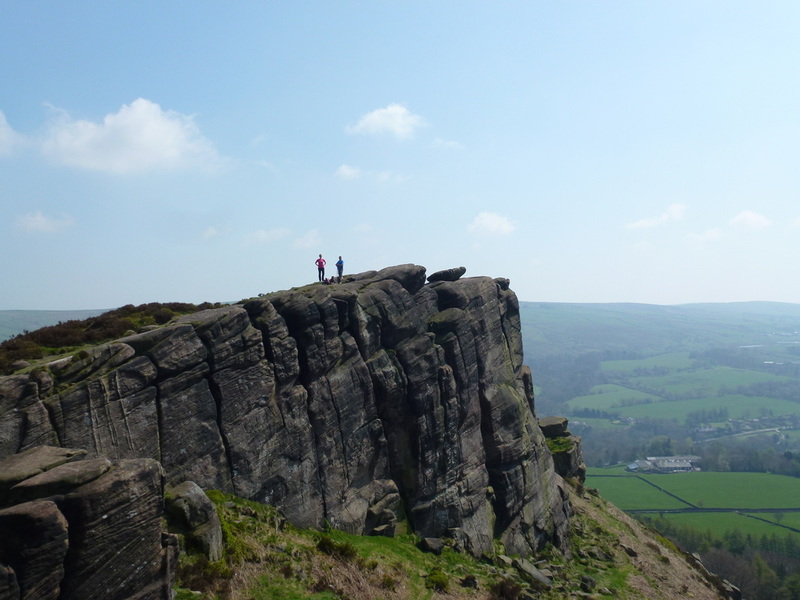 We had company today - a local guide who kept us amused all day with tales of Leeds United, Lobby, Staffordshire Oatcakes and stories of derring-do in Norway. 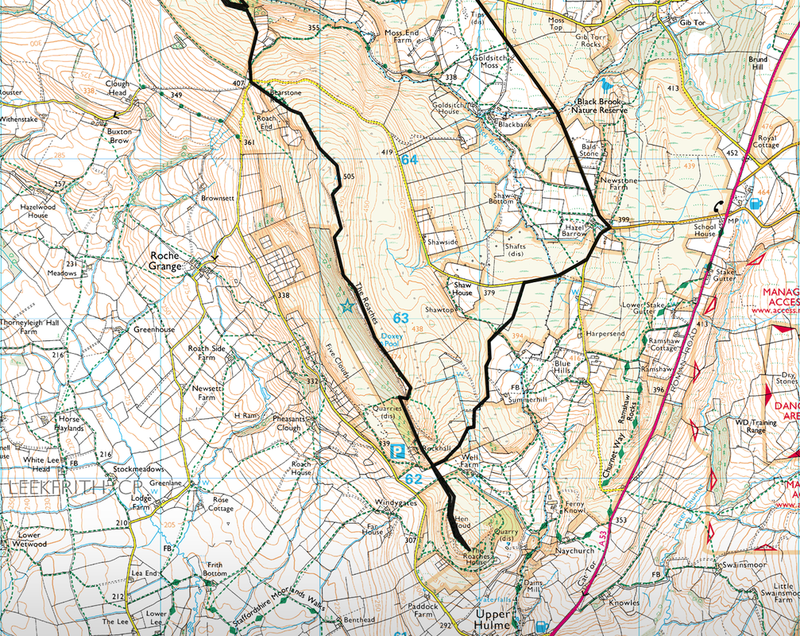 Many thanks to Chips for his time in order to show us this route. 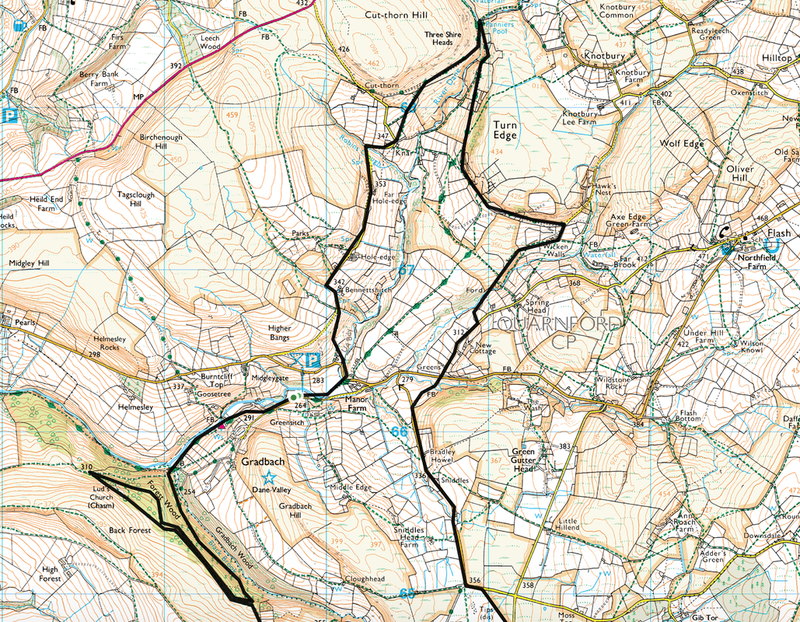 Gradbach is a small hamlet and there is a large car park there, which is free. 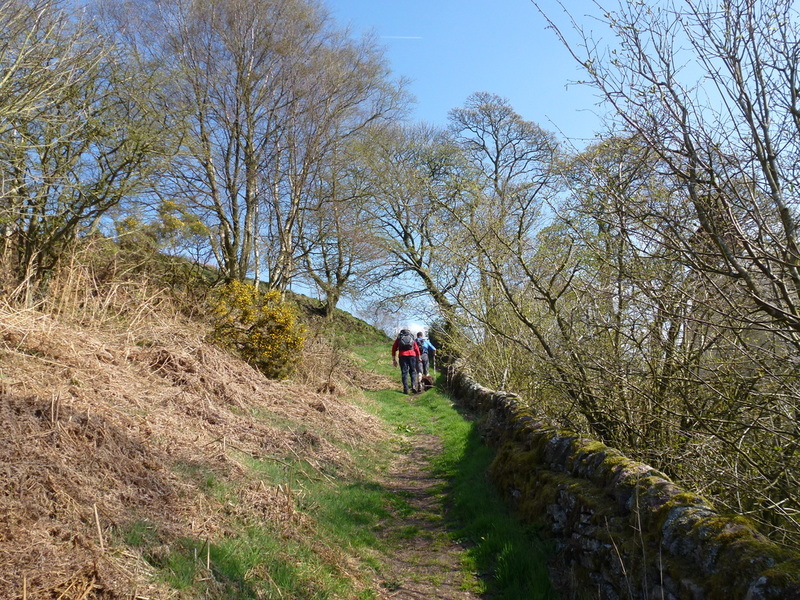 Leaving the car park, the route headed uphill past several farms and soon we were approaching Three Shire Heads. We were here fairly early on a Thursday therefore there were not many people about - it must be pretty busy on a weekend. 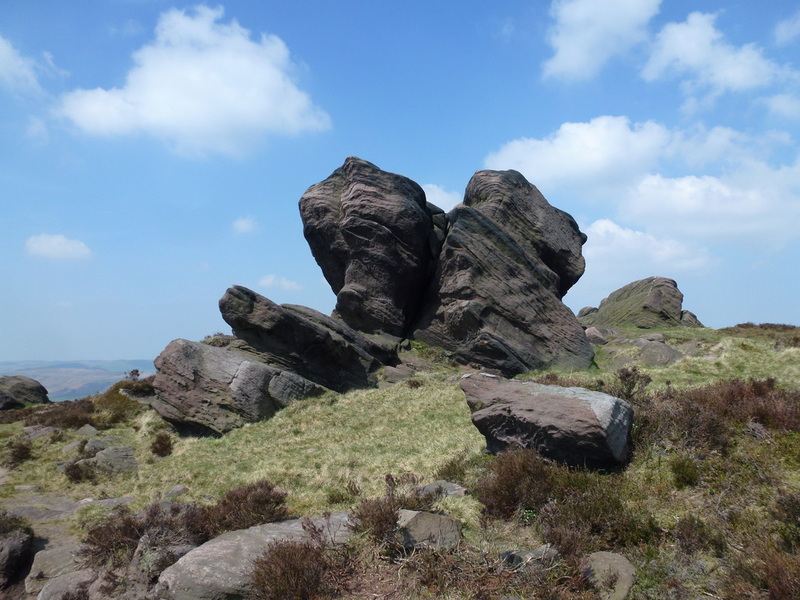 Three Shire Heads is so named because the counties of Staffordshire, Cheshire and Derbyshire all meet at this point. 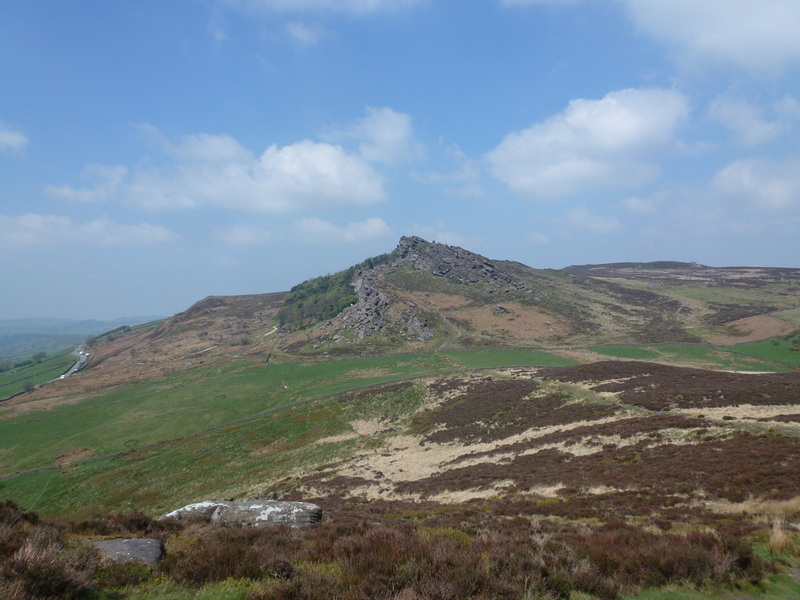 The Cheshire Border is here and on the east of the River Dane which flows through it, the border between Staffordshire and Derbyshire runs north east for about a mile to Cheeks Hill which is on the higher regions of Axe Edge Moor. 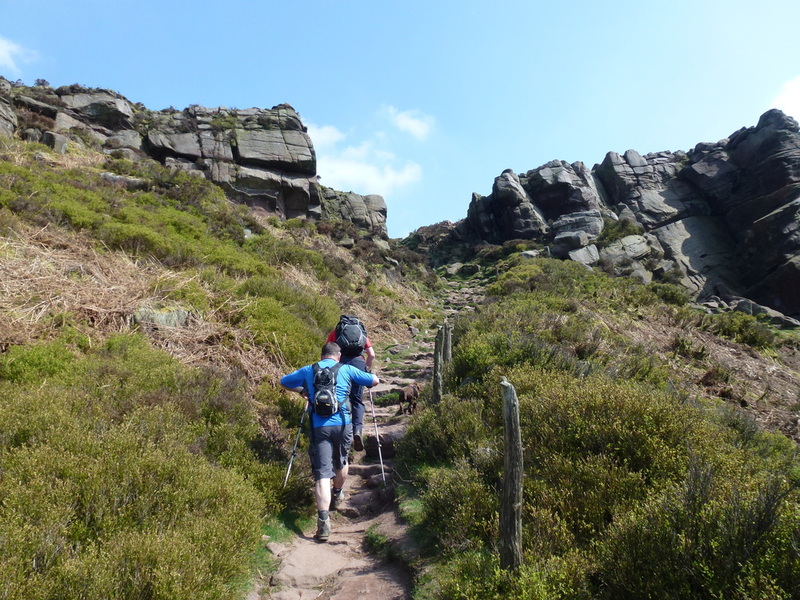 Crossing the bridge, we then headed on the opposite side of the Dane to pick up the route that would take us on the long transit to the col between Hen Cloud and The Roaches. 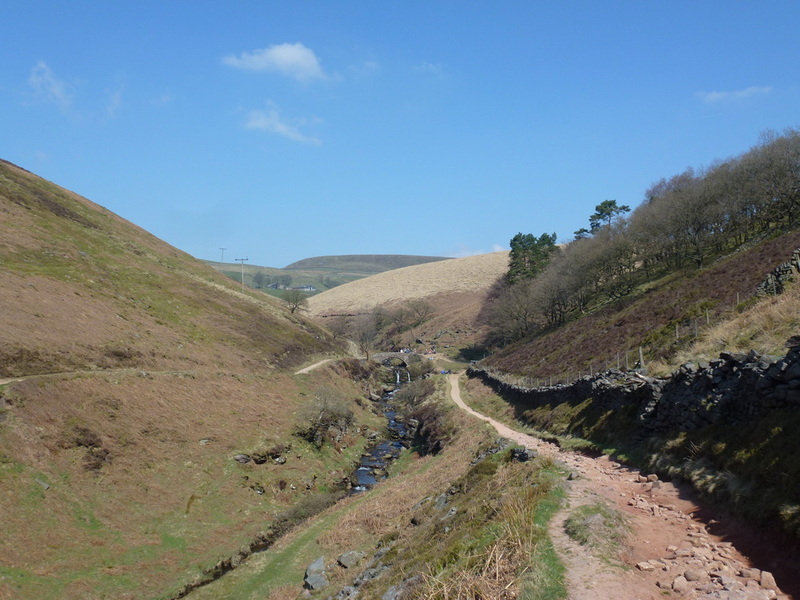 Despite there being a fair amount of road walking, there was little traffic and this was a very pleasant amble with good views to be had. 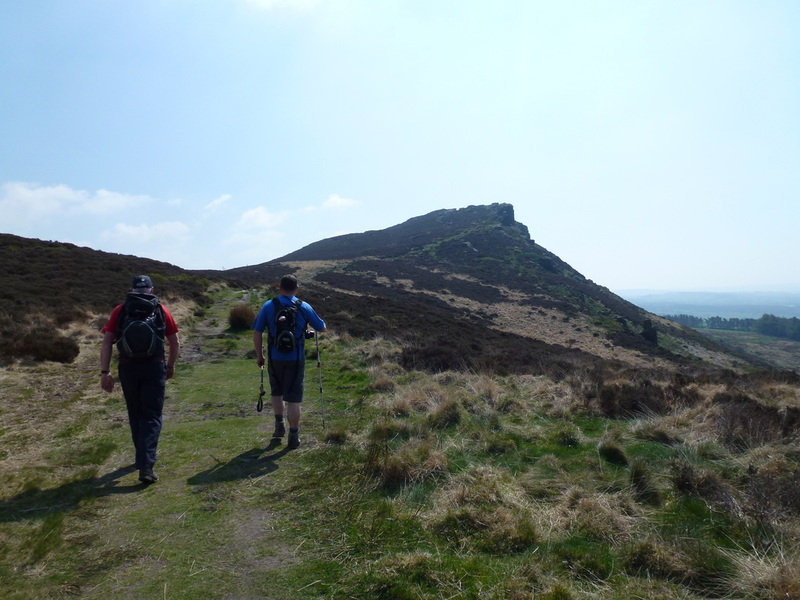 Reaching the col, we decided to make the short climb up on to Hen Cloud and then retrace our steps before the interesting and varied climb up on to the ridge of The Roaches. 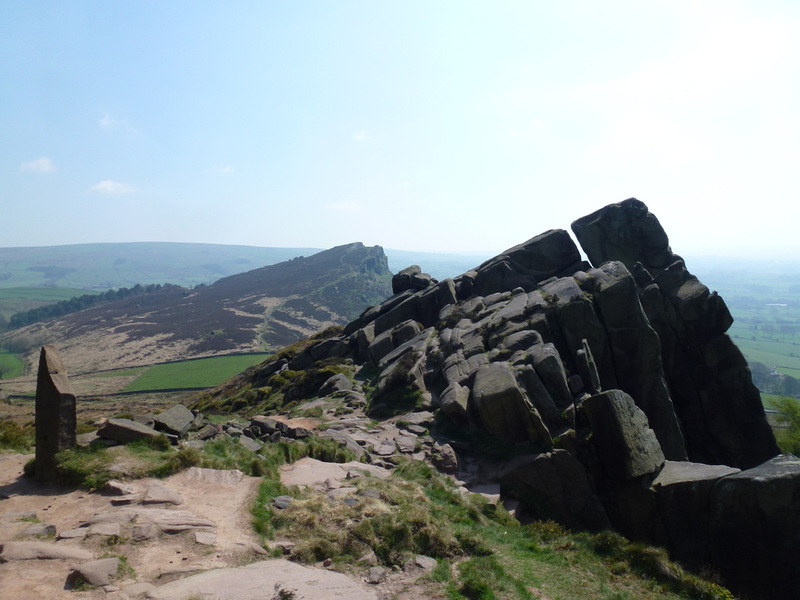 The Roaches is a gritstone escarpment and is the most prominent part of a curving ridge that extends for several miles from Hen Cloud in the south to Back Forest and Hangingstone in the north west. 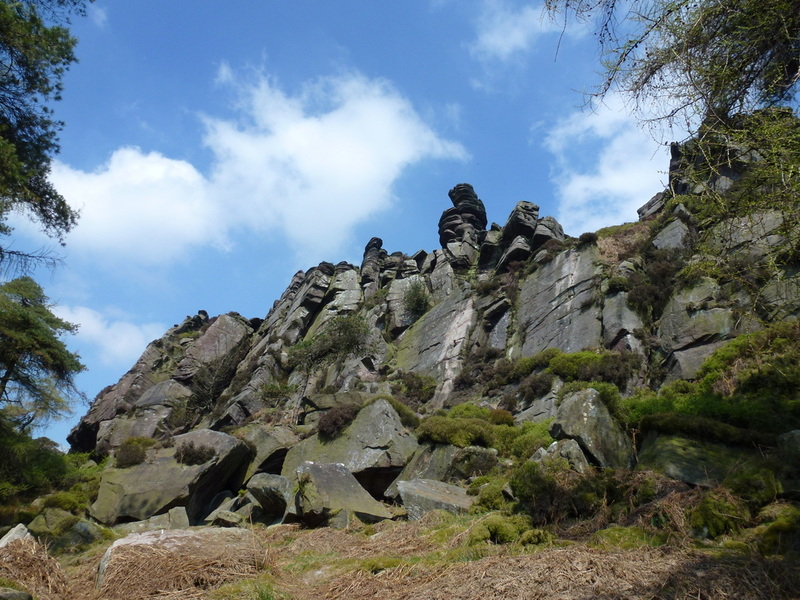 As well as the amazing rock formations along the ridge, at the top there is a small pool called Doxey Pool. 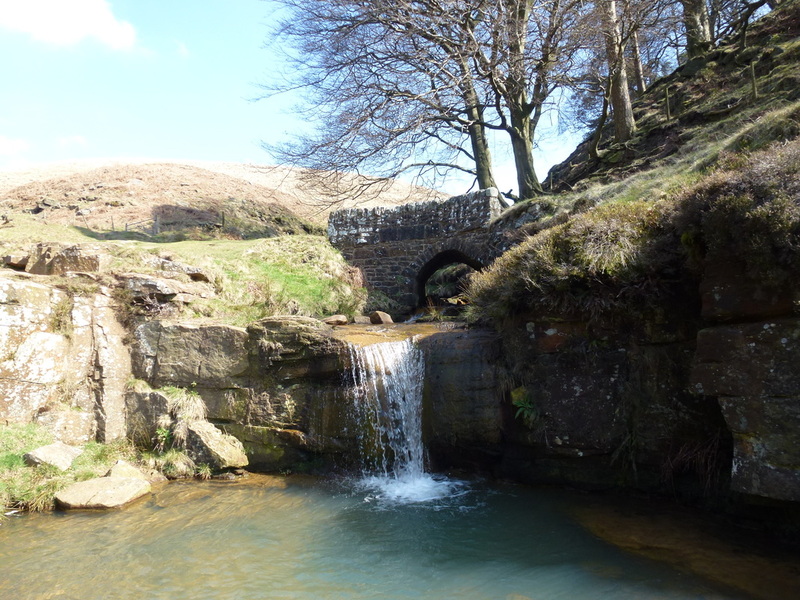 Legend has it that it is inhabited by a mermaid called Ginny Greenteeth - also known as the blue nymph. 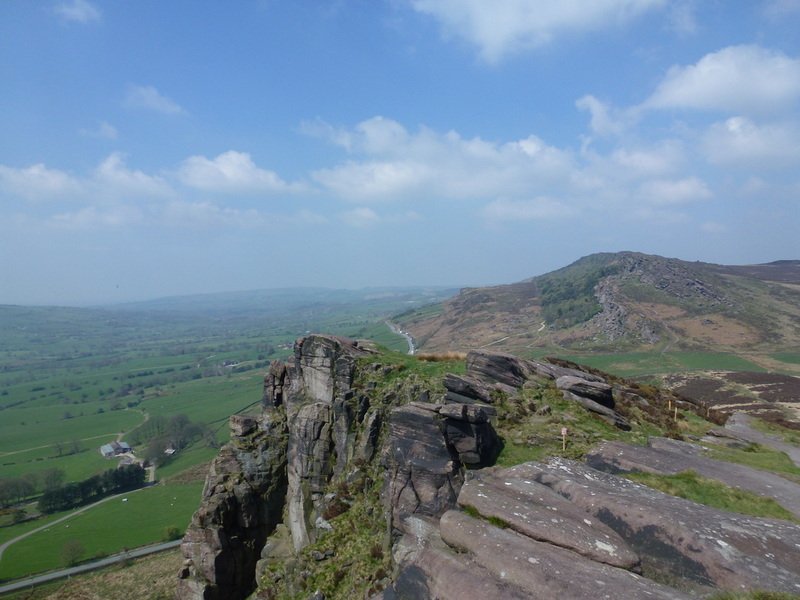 The legend says that she fell in the pool on a foggy day whilst walking along the top of the Roaches. Ever since that day she has been enticing unsuspecting victims down to the pool and to their watery grave - we were having none of it. 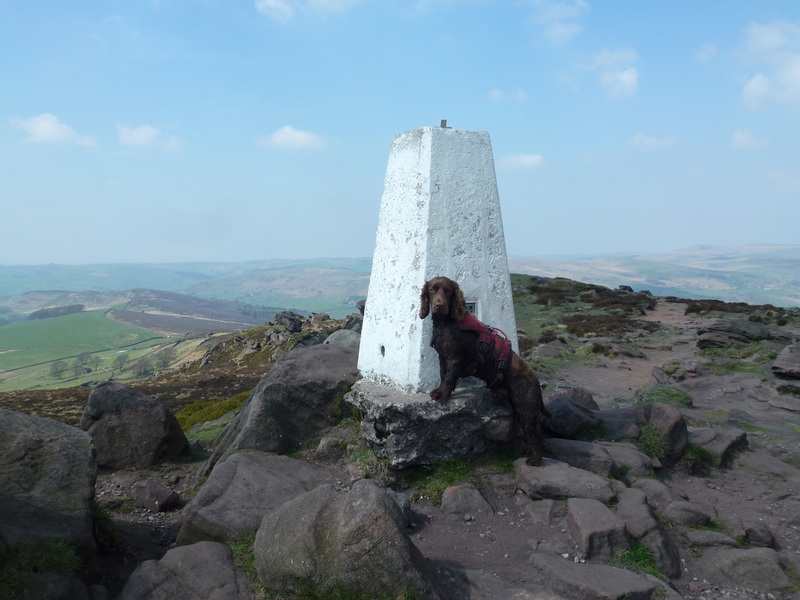 Reaching the Trig Point we then made our way down to the road at Roach End where there was a welcome ice cream van! 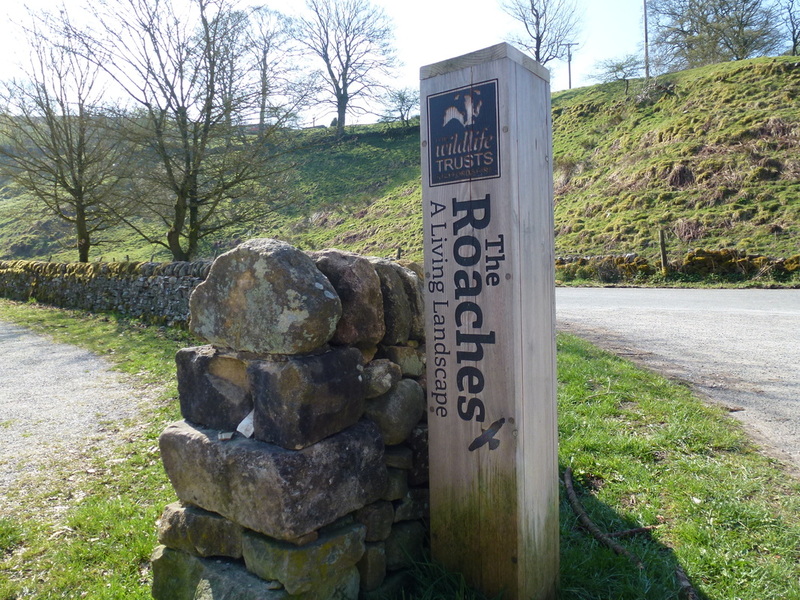 From the road, the route to Lud's Church is well signposted and it was just a question of hand railing the imaginatively named Forest Wood to reach it. 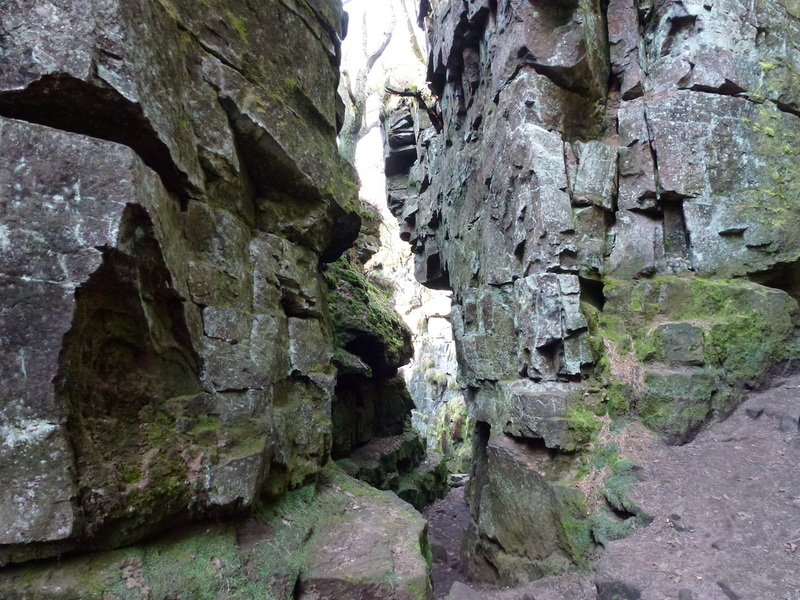 Lud's Church is an immense natural cleft in the rock on the hillside above Gradbach and was formed by a landslip which has detached a large section of rock from the hillside, thus forming a cleft which is over 15 meters high in places and over 100 meters long although in some places it is only a couple of meters wide. 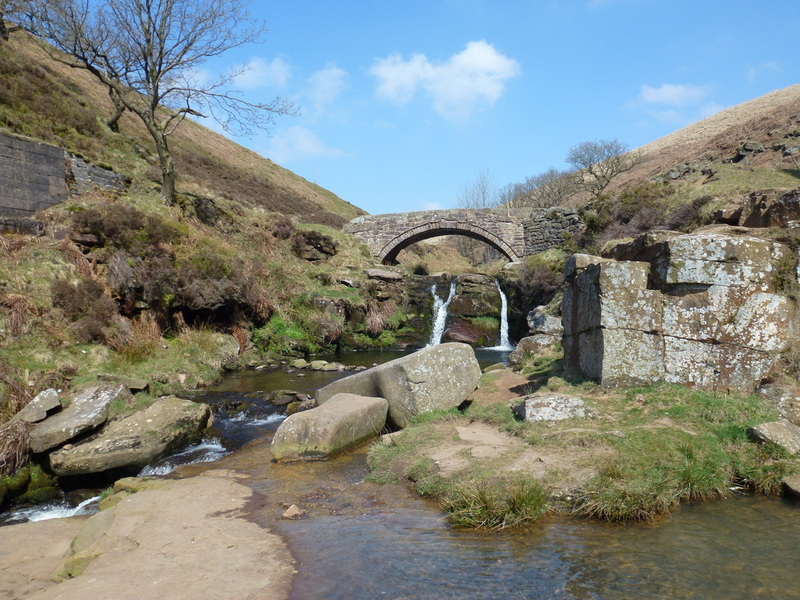 Nothing prepares you for this amazing place - despite the heat of the day, once down in the chasm it was very cool and it was also extremely quiet and peaceful. 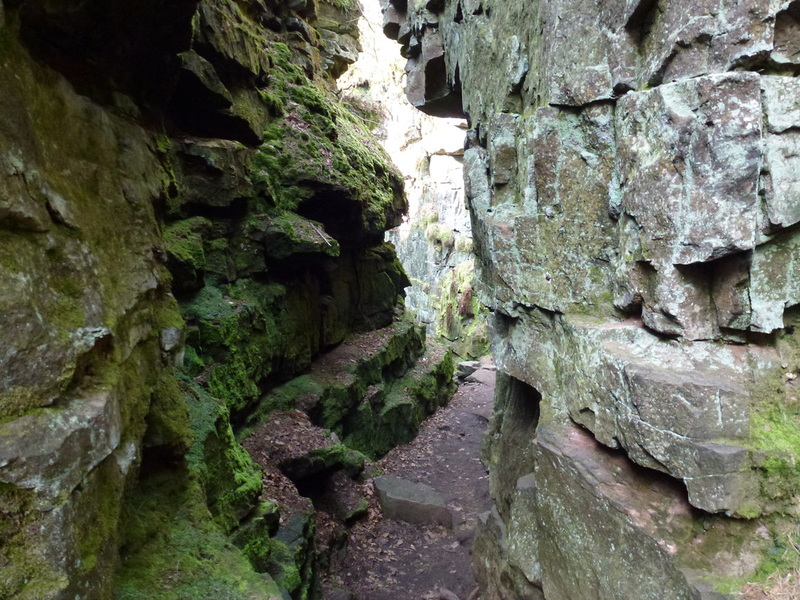 We took our time making our way through the chasm that is easy enough to get through once the steep descent has been negotiated. 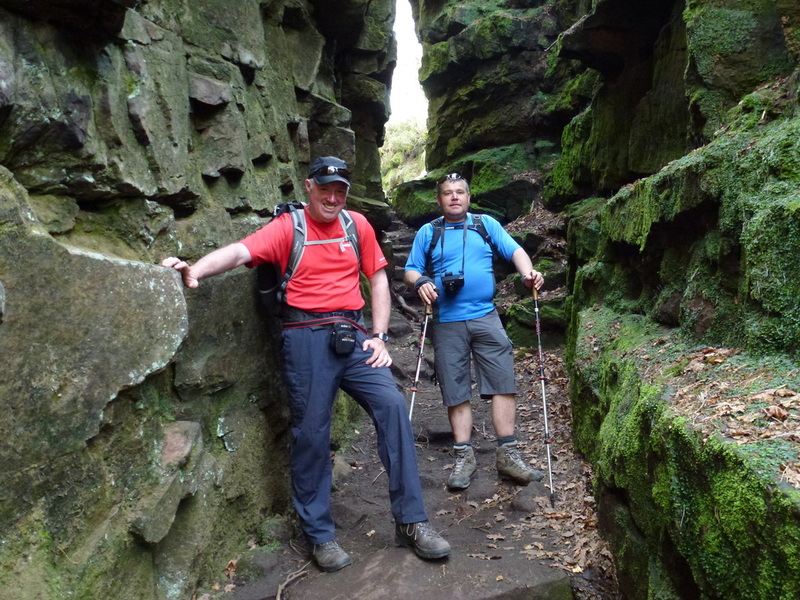 From the bottom of the chasm it was just a question of making our way back to the south east in order to pick up the path that would take us back to the start at Gradbach. 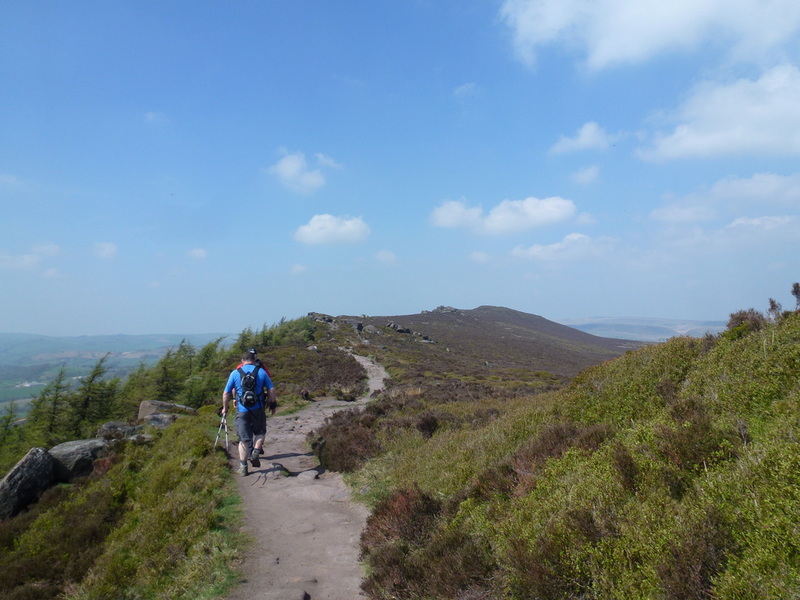 This is a cracking walk and takes in 4 superb and picturesque parts of this beautiful area. 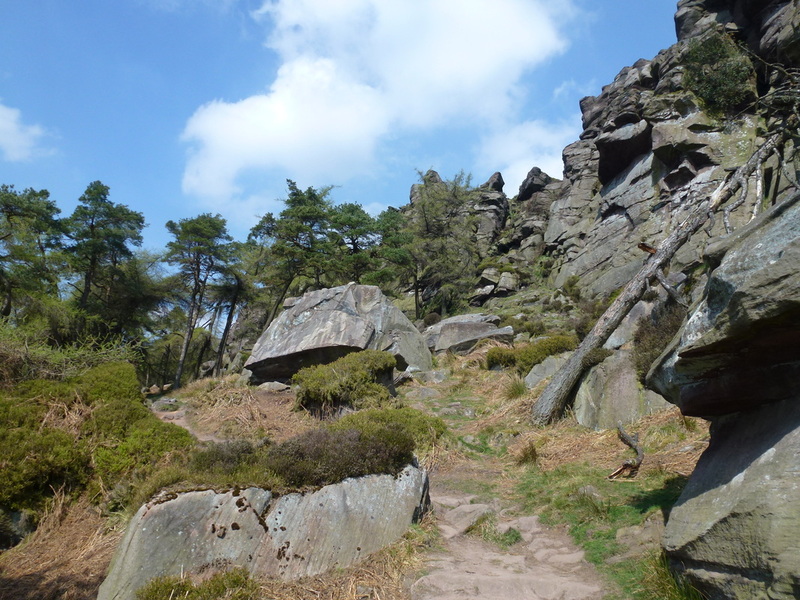 Definitely one to be repeated - hopefully with the same weather we had today. 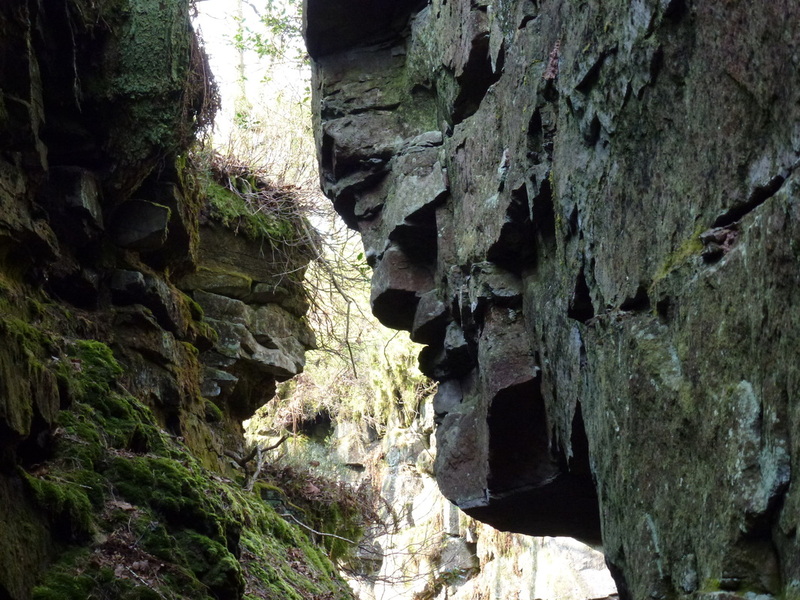 Lud's Church - can you see the face in the rock?